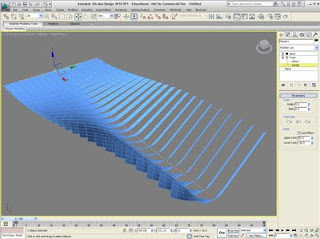 Tutorial covers the use of reference copies of splines to control geometry. 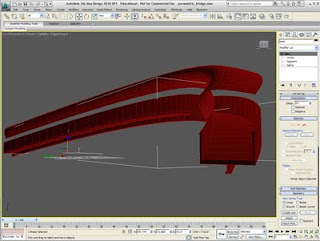 Extrude, shell, and sweep modifiers used. 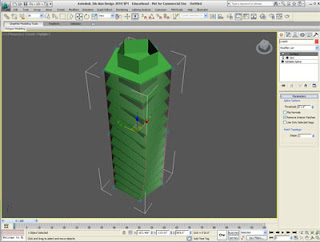 I first saw this tutorial at David Fano's excellent DesignReform site - which has many useful 3D Max, Grasshopper, and Revit Tutorials. 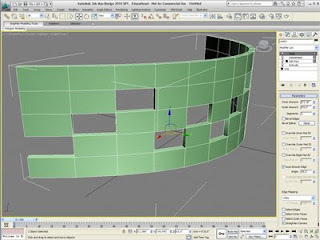 Tutorial covers the shell modifier in combination with extrude and delete mesh modifiers. Using a different methodology than the last tutorial to produce a surface form from an aggregation of boxes. 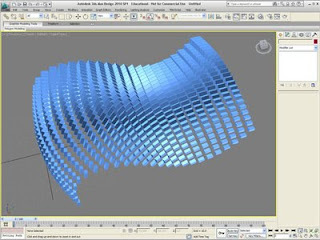 Tutorial covers creating a simple plane, using bend and twist modifiers to transform it, a path constraint to animate its movement, and the Snapshot tool to produce copies at a particular duration. This tutorial covers camera creation and editing in addition to basic image output. I've definitely been lax in my blogging - but I wanted to post this at some point. This is a slide show of images from an exhibit of student work from my Fall 08 Digital Fabrication Class and Karl Daubman's Parametric Modeling Class. All of the larger pieces are from the digifab class. 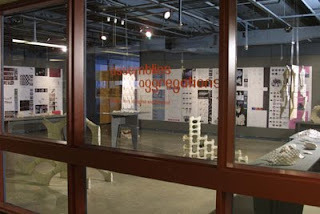 The work was really outstanding and warranted the hard work of putting the exhibit together. There is an article on the work in the new Dimensions Journal #22 and one of the groups received an honorable mention in the 2009 acsa concrete competition.